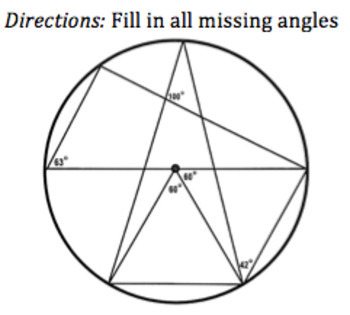 This is a fun way for students to practice finding missing angles in a circle, triangle, and quadrilateral. There are 23 unknown angles total. 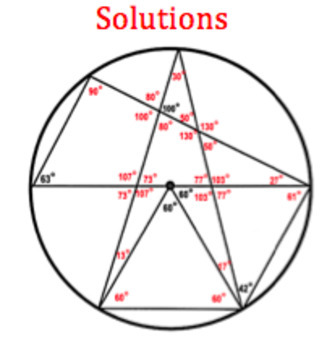 The diagram is drawn to scale so students can use a protractor to find missing angles. Solutions are included.